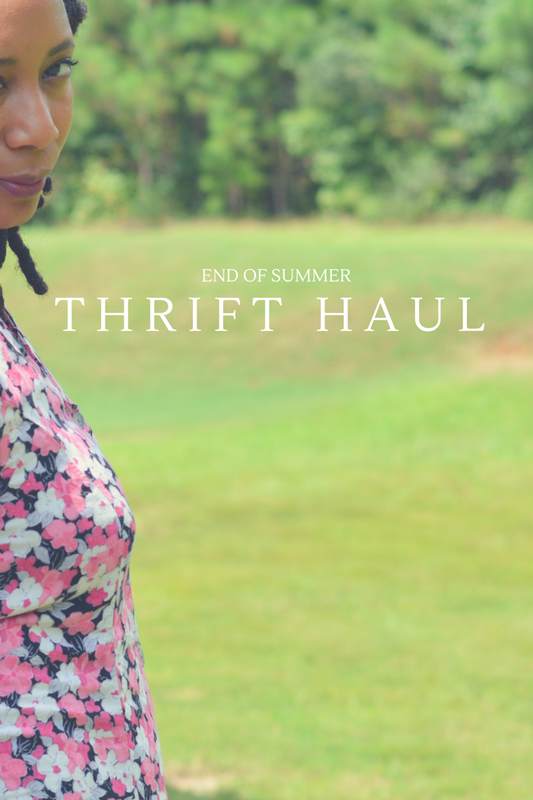 We're approaching the end of summer and I am still thrifting hot weather clothes. I should probably focus on how I'm going to store all of the great treasures I've found the past 3 months. With this thrift haul, I didn't spend as much as I did at Unclaimed Baggage but I was a little bit over budget spending $36. Retail value was over $200 though. I've had army jacket on my thrift wishlist for a while and finally found one in an extra short. It was absolutely meant to be. 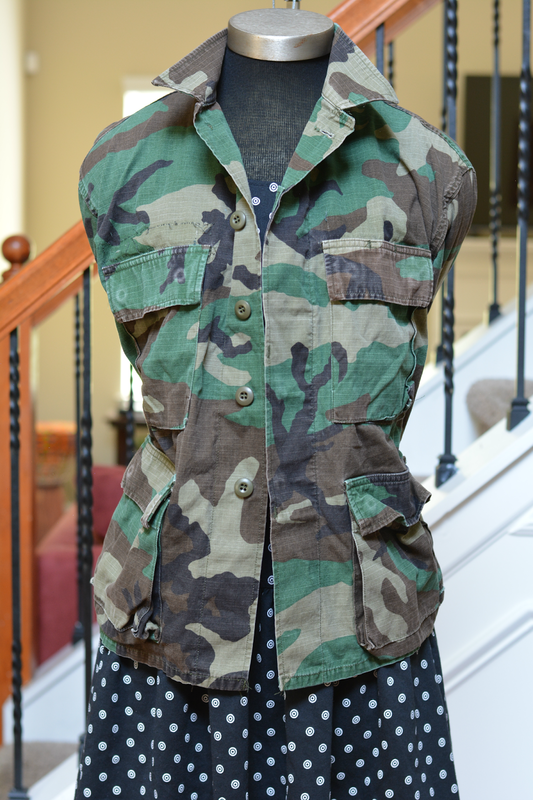 I've spotted army jackets before but the arm length is always super long. I found a new Jam's World dress. I don't see the exact print on the website but similar styles retail $133. They're made in Hawaii if you hadn't already noticed. 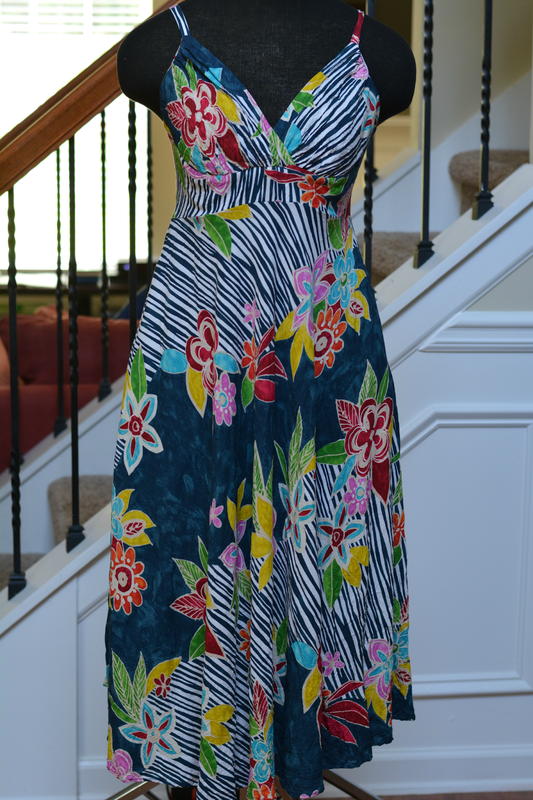 Love the mix of floral and stripes on this one. 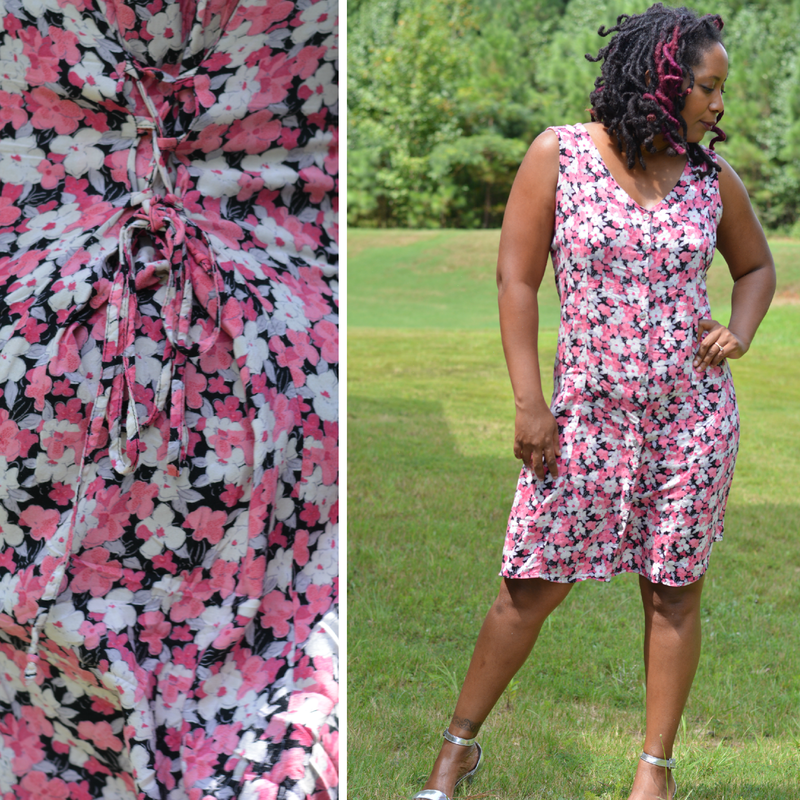 Rompers are my weakness therefore I had to add this one to the collection. Having to completely undress to go to the bathroom is a pain but I just love this genius hybrid -- a dress but not. The 80s called and they want their drop waist deadstock South Beach dress with back cutouts! I touched it and flashed back to fluorescent socks and plastic charm necklaces. Once you let the 80s in more fun will follow. The pink and grey dress isn't vintage but it's definitely inspired by the decade. It's one of those dresses I can hop into and go. Now that V's back in school, morning have become real hard. 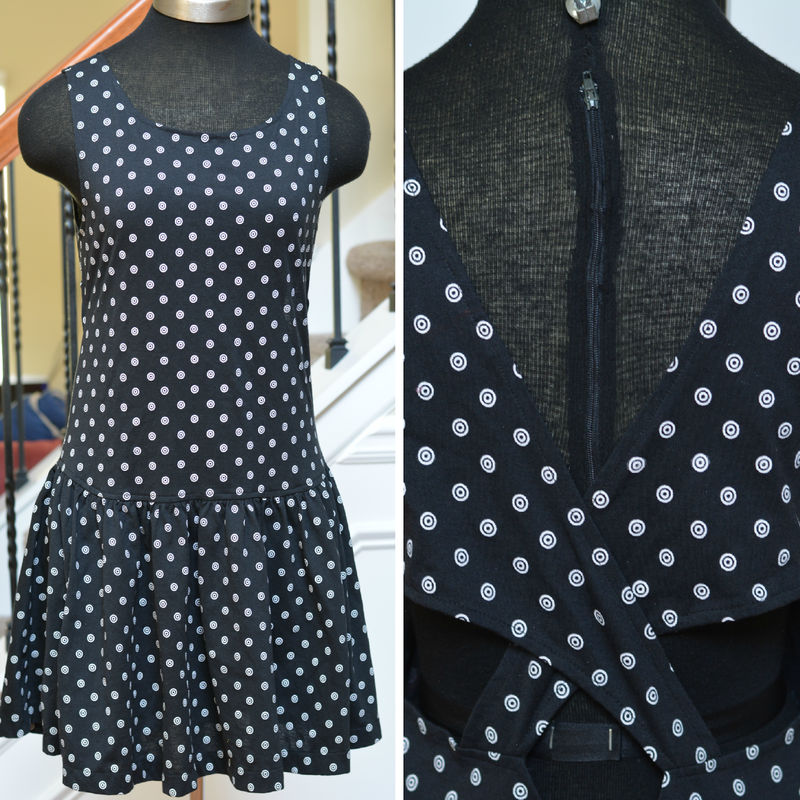 This dress is easy. Oh look, I've spilled coffee on it all ready! 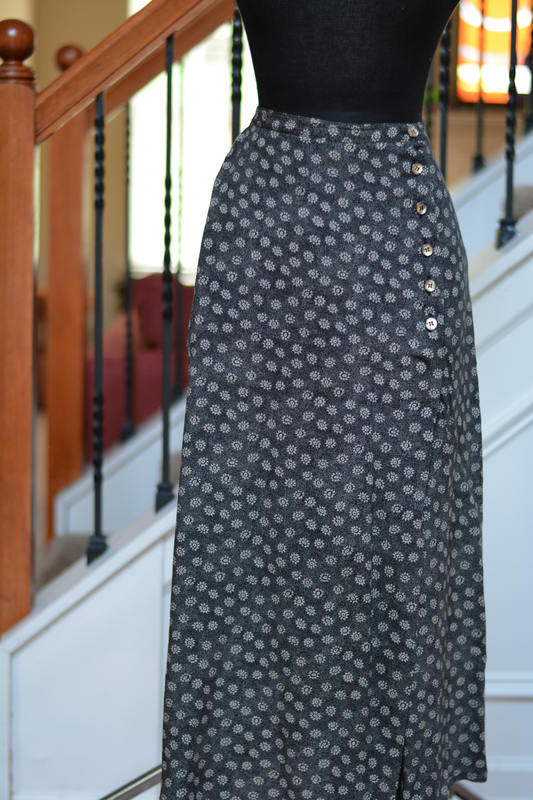 The side split on this otherwise ordinary 90s skirt is fantastic. It's sexier than it looks plus there's elastic in the back. *whispers* I still love elastic waist. It's ankle length but I think it would look much better at midi, no? 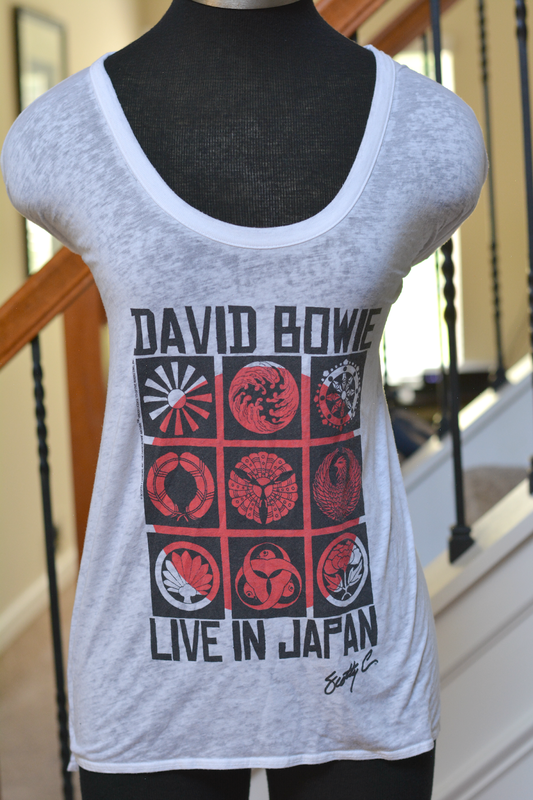 This Chaser David Bowie tee was last seen on Shopbop at the price of $66. For a t-shirt??? That's kind of insane. Glad I only had to pay $3. 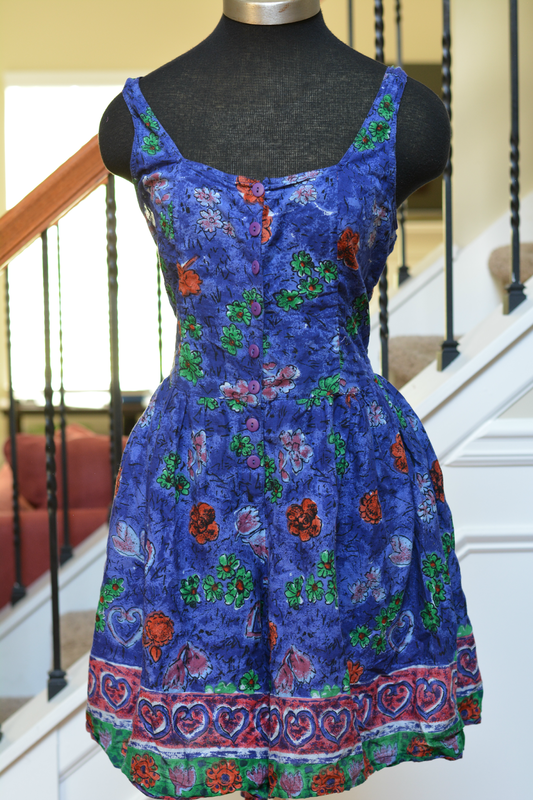 Last but not least is a 90s corseted back floral print dress. I've found it to be the perfect outfit for thrift store cardio. Don't forget to take the perfect snack! 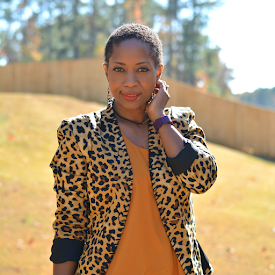 What have you thrifted lately?